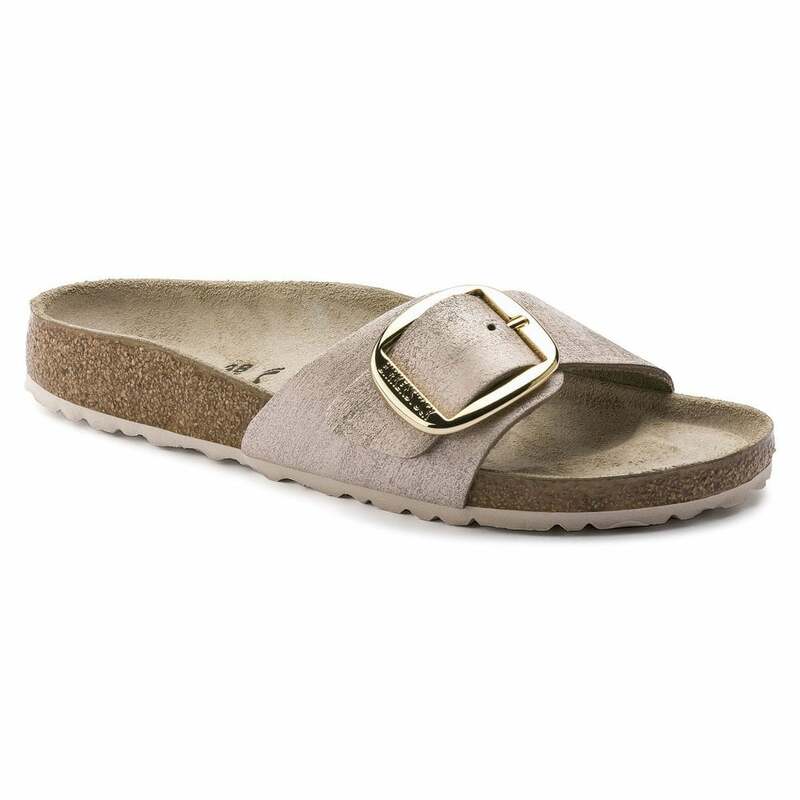 The BIRKENSTOCK Madrid is a veritable classic that delights the world of fashion with its minimalist design. This version brings two popular designs together. It features a faded metallic look with a subtle vintage effect and a large, elegant tongue buckle. The vintage effect can vary from shoe to shoe and comes to the fore the more it is worn. The color-coordinated outsole rounds off the shoe’s look of sophistication. The upper is made from especially soft suede which hugs the foot like a second skin.